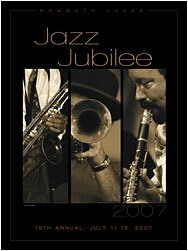 Limited Editions: Award-winning Posters & Books, 2002-2013 ('09 & '10 Posters Sold Out)! 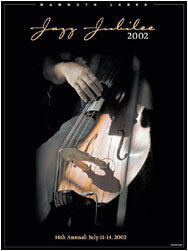 Please call 1-760-937-2373 for availability / ordering! 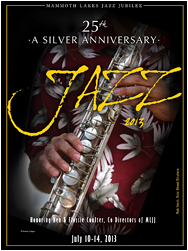 Showcasing the talented musical sounds of Rob Verdi on his conno-sax and honoring our Jazz Jubilee directors, Ken and Flossie Coulter for their 25 years of festival leadership. 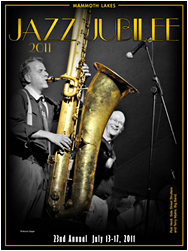 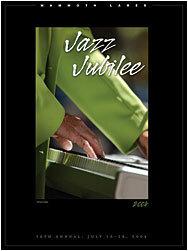 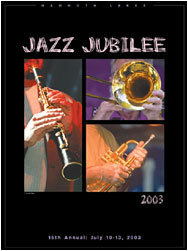 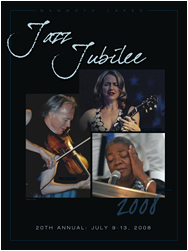 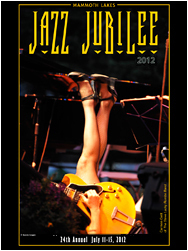 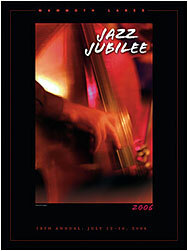 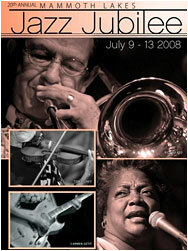 Mammoth Lakes Jazz Jubilee official poster. 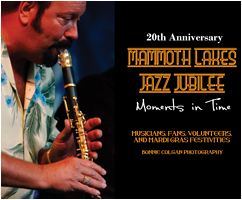 Highlighting two of our legendary Mammoth Lakes Jazz Jubilee saxophone musicians - the very talented Rob Verdi on the Contrabass and Terry Meyers. 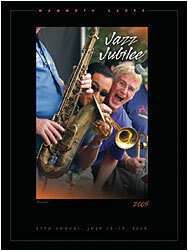 First Place Award winning poster for the California Nevada Festival Association is Bobby Pickwood and Charlie Bertini with Terry Meyers on saxophone.